Happy Friday! This week went by way too quickly, and it is hard to believe that October is right around the corner and Christmas is less than 100 days away... what?! Now, on to my Five on Friday! One of my best friends, Hannah, booked a flight to come visit me over Halloween weekend and I cannot wait to see her!! Hannah and I have been good friends since high school, and when I lived in New Mexico, she also visited over Halloween - so I guess that's our thing... and I like it!! Next Halloween, she won't be able to visit because she is doing the World Race. Have you heard of it?!! It's pretty incredible... she will be traveling to 11 countries in 11 months to share the Good News and love of Jesus. This week I put out some of our fall home decor, and I am SO happy I did... it's incredible what a little seasonal decor can do for your mood! Monday means back to work for me! Since I had a week off between jobs, I was able to enjoy a little down time and have lunch with John several days this week. It's so great to see him during the day... it makes me feel like it's the weekend! I am excited (and a little nervous) to get back into the full swing of work! Starting a new job is always a transition, but I'm hoping it will go smoothly. Scout goes back to bird camp this weekend for two weeks. We will miss her dearly, but the timing works out pretty well with me starting a new job. After dropping her off, there is a pumpkin and apple orchard near Scout's camp that we are going to visit! Can you believe Monday is the first official day of fall?! There is no better way to celebrate than some you-pick apples. 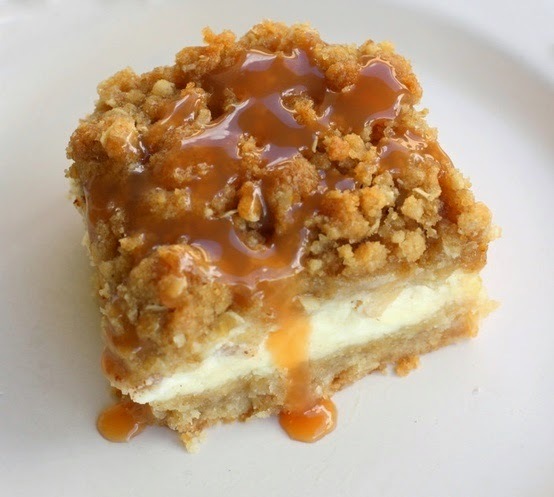 Can someone make me these caramel apple cheesecake bars?! Please and thank you! I love the festive fall touches around your house (and especially the Scrabble board decor peeking out in the background...I still think that's the cutest idea!). I definitely need to schedule an apple orchard and pumpkin patch visit soon - it's the best way to officially welcome fall! Love all of your fall decor! Best of luck at your job on Monday!! Have a great weekend! I love your fall decor!! 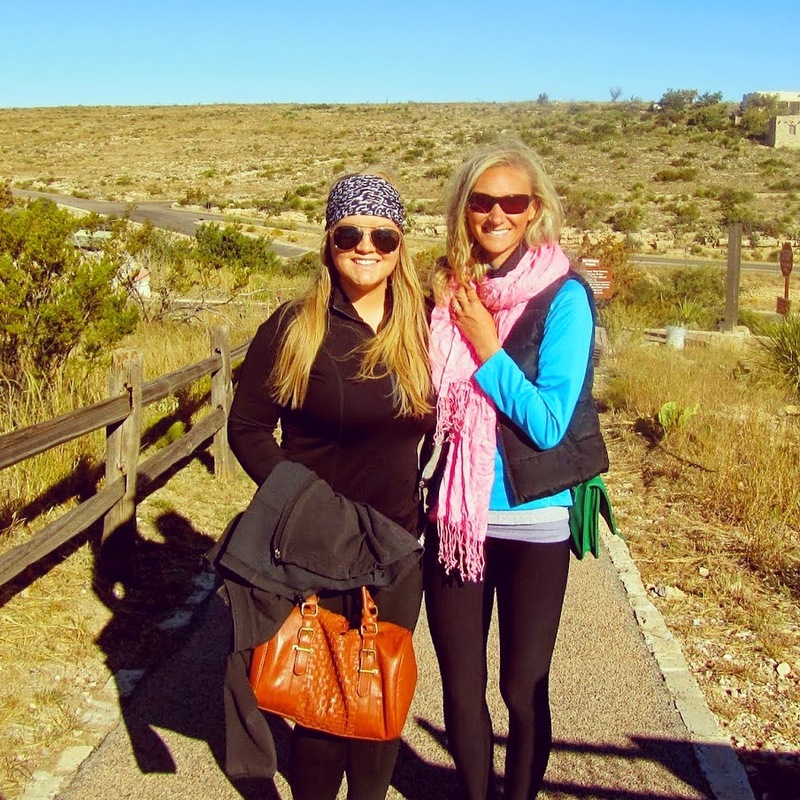 What is bird camp? Is it like a camp for dogs? I feel like we need to drop off our dog at some type of training camp for a few weeks lol. 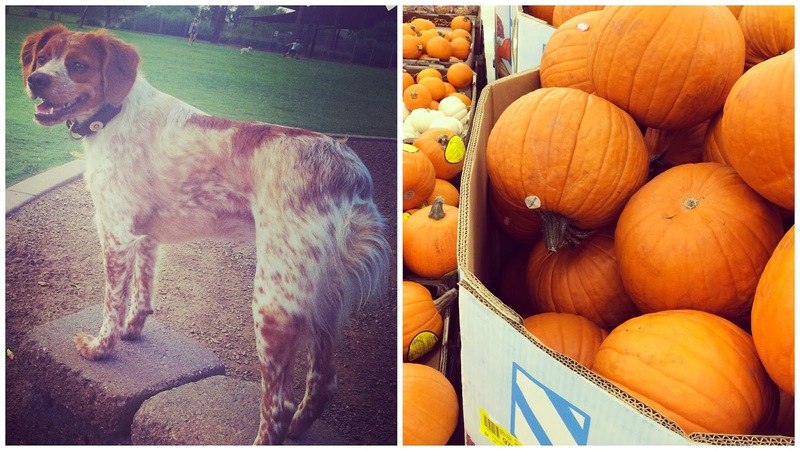 I've always wanted to go to an apple or pumpkin farm! Have fun!! Enjoy your first day of work next week! That's always a little intimidating but you will be fine! Love your fall decor, I still need to get some of mine out! Loving the touches of fall, I can't wait to get some up around my house this weekend! Good luck with the start of your new job! Hope you have a smooth transition. love the fall decor, so fancy! and oh my gosh those cheesecake bars look divine. yummm. 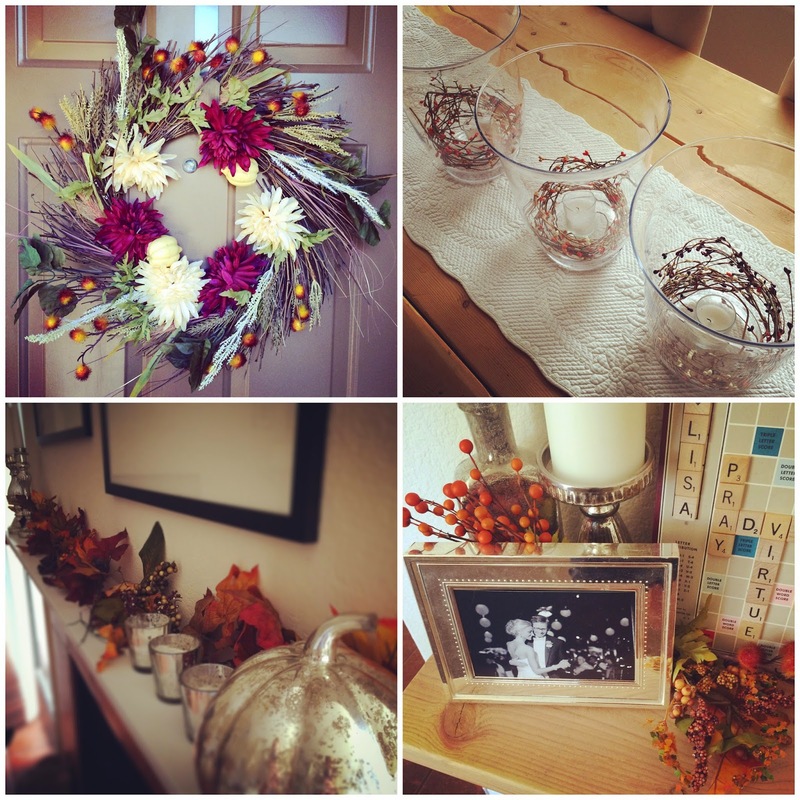 I'm definitely going to home goods and tj's this weekend for some fall decor - your post just inspired me!!! Those caramel apple cheesecake bars look freaking amazing. Yum! I love when my girls visit! That World Race looks awesome! Have a great weekend! Love your fall decor. Very pretty. I also cannot believe the Christmas countdown is down to double digits. This year is flying by! I love your fall decorations, especially the pic w/ a wedding photo in it. My mouth just drooled looking at that pumpkin bar... oh my word!!!! Um, whoever you get to make you those cheesecake squares, can we get them my address too?? Those look incredible. Yay for visits from besties. I've never heard of the World Race but that sounds so amazing. Love the Halloween tradition of your friend visiting...and missing one year for The World Race is totally understandable! :) I've been looking for some mercury glass pumpkins...yours looks great! AND...GOOD LUCK, GOOD LUCK, GOOD LUCK with the new job! I'll be thinking of you! Love your fall decor--super cute. I'm planning to get mine out this weekend. Happy Friday! LOVE your fall decor! And those cheesecake bars?? Yes, please!! Your Fall touches look awesome!! Hope you have a great weekend! That's so cute y'all have a Halloween visiting tradition! LOVE your Fall decor you've put up, it's so cute, and those bars look amazing! I agree! Adding seasonal decor always makes my heart happy. Wonderful what it does for the spirit. Pumpkins and apples! Yeah you can't kick off autumn any better than that. Wow fall decoration looks beautiful - and cheesecake bars just look great! So I'm totally full from eating all weekend in Portland, but that carmel bar -- oh, my! Oh my gosh, less than 100 days till Christmas!? Holy smokes! Oh, and i've made those cheesecake bars before. They are to die for!! Yay for friends visiting. I need to check out that mission. It sounds really cool. Your fall decor looks great! Hope you had a nice weekend!